With the WHL’s January 10th trade deadline fast approaching, the Vancouver Giants have been busy. 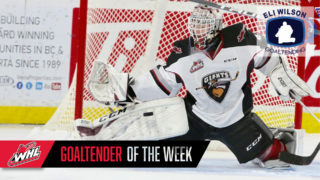 Within the last calendar week the Giants have made three notable trades, acquiring defencemen Seth Bafar0 and Dallas Hines along with forward Jadon Joseph in separate deals. Historically the Giants have been very active at or around January 10th, making some deals in previous seasons that have helped the organization both in the present and the future. Here’s a look back at seven notable trade deadlines deals involving the Vancouver Giants since the 2009-10 season. The Vancouver Giants acquire forwards Thomas Vincour and Brett Breitkreuz from Edmonton. The Vancouver Giants made a big splash on Deadline Day in 2010 when they sent a package of three players and three draft picks to the Edmonton Oil Kings in exchange for forwards Thomas Vincour and Brett Breitkreuz. At the time, Vincour was a prospect draftee of the Dallas Stars and made an immediate impact with the Giants scoring 12 goals along with 10 assists for 22 points in 24 games. He added seven goals and six assists for 13 points in 15 playoff games that season. Breitkreuz chimed in with seven goals and nine assists for 16 points and added three goals and an assist in 15 playoff games. The Vancouver Giants trade captain Craig Cunningham to the Portland Winterhawks. Just under a year later, the Vancouver Giants made a blockbuster deal with the Portland Winterhawks when they sent captain Craig Cunningham South of the border in exchange for Spencer Bennett, Teal Burns, and two significant draft picks. Spencer Bennett scored 25 goals in 35 games with the Giants while adding 24 assists to cap off his 20-year-old season, and the Giants would use that 2011 first-round pick to select forward Thomas Foster. The Vancouver Giants trade forward James Henry to Moose Jaw for two draft picks. James Henry product was a point-per-game player at the time of the trade with 41 points in 41 games. However, with key players, like Henry, on their way out, the Giants acquired both a second-round and a third-round pick in preparation for an upcoming rebuild. The Vancouver Giants trade forward Trevor Cheek to Edmonton for a 2013 Second-Round Pick. Trevor Cheek only played 39 games for the Giants in 2012-13 after being acquired in a trade with the Calgary Hitmen. The overager managed 18 goals and 14 assists for 32 points in 39 games with the G-Men before being dealt to Edmonton a day before the 2013 Trade Deadline. In return the Giants received a second-round pick in the 2013 WHL Bantam Draft that they used to select goaltender Ryan Kubic. The Vancouver Giants trade forward Marek Tvrdon to Kelowna for a 2014 Second-Round Pick. Two years prior to the trade, Tvrdon put up 31 goals and 43 assists in 60 games and really put himself on the map. 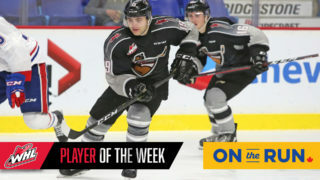 The Giants struck while the iron was hot and sent the Slovak forward to the league-leading Kelowna Rockets in return for their second-round pick in the 2014 draft. That pick turned into James Malm. The Vancouver Giants traded Thomas Foster and two draft picks in return for Brayden Watts and two picks. Thomas Foster played over five seasons as a Giant, amassing 126 points in 289 games. Brayden Watts, on the other hand, has developed into one of the Giants’ top scorers. He’s currently sitting fourth in team scoring with 26 points in 38 games. He will be leaned on heavily as the Giants press onwards to the coming playoffs. 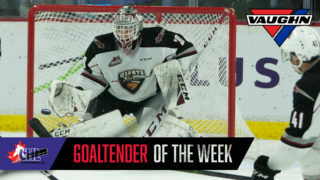 The Vancouver Giants picked up Davis Koch and a third-round conditional pick from the Edmonton Oil Kings in exchange for Brendan Semchuk, goalie Todd Scott and a third round pick. Koch is currently leading the Giants in scoring with 35 points in 38 contests. The local Surrey native is feeling right at home with his new club. Koch is in his last year of eligibility and has his eyes set on a long playoff run with the BC Division-leading Giants. 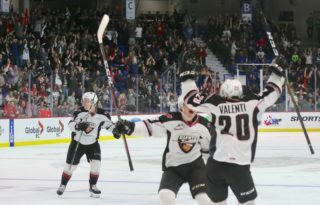 Since 2010, the Vancouver Giants have made 42 post-Christmas trades between the dates of December 28th and January 10th. Two former Giants captains (Craig Cunningham and James Henry) have been involved in Trade Deadline deals. Since 2010, the Giants have completed Five Trade Deadline Deals with both the Moose Jaw Warriors and the Swift Current Broncos and four deals with the Edmonton Oil Kings. The trade involving the most pieces leaving the organization took place on January 10, 2010 when the Giants acquired Thomas Vincour and Brett Breitkruez from Edmonton.